– Commission — the 4th one — ends up ruling on the non-authenticity of the apparitions, on deceit, misunderstanding, cheating, fraud or hoax; the result is a pastoral catastrophe and the victims are millions of sincere faithful. In the next lines, I will try to show that Vittorio Messori’s “diagnosis” of the purported dilemma does not stand up to a rigorous analysis. The Ordinary of Mostar, the competent (mandated) and responsible Pastor for Medjugorje, created a first Commission of inquiry (1982) of 4 members that he extended, in a second Commission (1984), to 15 members coming from different Yugoslavian dioceses. They voted in majority: “non constat de supernaturalitate” in May 1986. The meaning of “non constat de supernaturalitate”. First, it is a verdict, a judgement made by a majority of experts, not by the sole Bishop of Mostar. Second, it is a negative judgement, “non constat”. “Constat” and “non constat” are terms used in a juridical context. “Constat” practically means “proved”. Then, the formulation of the verdict could be: “it is not proved that the entity — claimed by the Medjugorje visionaries and Franciscans to be the Virgin Mary — is a supernatural entity and that her apparitions and revelations have a supernatural character.” In other words, the “Lady of Medjugorje” is not considered to be the Virgin Mary. At the tribunal that we are familiar with, you will hear “proven guilty” or “not proven guilty”. The “candidate” is free to go if not proven guilty. Let us change the word “guilty” for “worthy” in our ecclesiastical tribunal. The members of the Commission have to consider if the “candidate”, the Lady of Medjugorje, is “worthy” of being a supernatural entity, the Virgin Mary. The “entity” that they have to “examine” is still an unknown. They try to compare her traits described exclusively by the visionaries who claim to see, hear and touch that entity with the ones they already know of the Virgin Mary. They will use rigorous criteria that have been established by Prospero Lambertini. Before becoming Pope Benedict XIV (1740-1758), Prospero Lambertini was officially Promotor Fidei (Promotor of the Faith). The people who were craving for a rapid sentimental judgment in the acknowledgment of miracles called him advocatus diaboli: he was a great humanist, he knew much about science and he had a critical mind. He was convinced that science does not threaten faith but rather purifies it. The classical rules of judgment he submitted in his Treatise are still “in force” today. Thus, the second enlarged Commission was of the ecclesiastical doctrinal juridical opinion that the candidate was not “worthy” of being considered a supernatural entity, the Virgin Mary. I repeat: “not”, because some opine, by a kind of magical thinking, that “not” is a “neutral” or even “positive” term… Well, we do not share the same vocabulary and the same logical inferences. This is why I say that if that entity is not considered to be a supernatural entity, it cannot be the Virgin Mary who is, as far as we know, a supernatural being. In other words, and to be clear — the propagandists never warn their “victims” about the real meaning of that directive — when the Medjugorje Franciscans and visionaries or tour operators organize religious manifestations based on the allegation that the Virgin Mary has appeared, is appearing or will appear before, during or after the said religious manifestations, they do not respect that pastoral directive. In 1991, the third Commission confirmed the non constat verdict of the second Commission, adding the expertise of 15 members who held 23 meetings in Zagreb, from 1987 to 1990. That pastoral directive is still in force in 2011 and logically follows the repeated negative verdict since 1986: non constat de supernaturalitate. Has Vittorio Messori fallen under the spell of the Medjugorje sirens who try to persuade us that the one and only “bad guy” in authority who has brought the negative verdict to the CDF is the Bishop of Mostar, a “renegade”? If the Commission ends up ruling for a constat de supernaturalitate against the actual non constat…, the “humiliated victims” would be 19 out of the 20 bishops, archbishops, cardinals of the former Yugoslavian Bishops’ Conference, three dozens of experts and the CDF itself which has endorsed the non constat until today and the pastoral directive attached to it. the result is a catastrophe with an opened issue of theological “incompetence” — the numerous mandated experts and theologians/pastors/bishops would have failed to identify “properly” the Virgin Mary — and of authority while the victims would be all those “humiliated” authorities and unfit institutions, and the betrayed faithful who are waiting so long to be pastorally enlightened and guided. Under those conditions, the first “unacceptable choice” becomes highly improbable, let’s say a practical impossibility. The “dilemma” consequently disappears and only one possibility remains: tell the truth! How did Vittorio Messori formulate the second “unacceptable choice” of the so-called “tormenting dilemma”? Didn’t the second Commission decide in 1986 that there existed no proof of the authenticity of the apparitions? Didn’t the competent (mandated) authorities publish a pastoral directive in 1987 forbidding the organization of “either pilgrimages or other religious manifestations based on an alleged supernatural character attributed to Medjugorje’s events.”? Didn’t the third Commission, the Bishops of former Yugoslavia and the CDF authorities endorse the negative verdict and the pastoral directive until today? Where could the new “pastoral catastrophe” be if the 4th Commission would confirm the preceding verdicts, this time definitively? The “pastoral catastrophe” has already happened! Millions of sincere faithful are already victims! As far as we know, the “signal” of non-authenticity coming from the Ordinary of Mostar has been constant since his first Posizione in 1984. According to Mgr. Pavao Zanic, Fr. Tomislav Vlasic was fabricating the “Lady of Medjugorje“’s so-called messages. Without the collaboration of the parochial pastoral personnel, the Bishop of Mostar could not implement the pastoral care of intelligence. 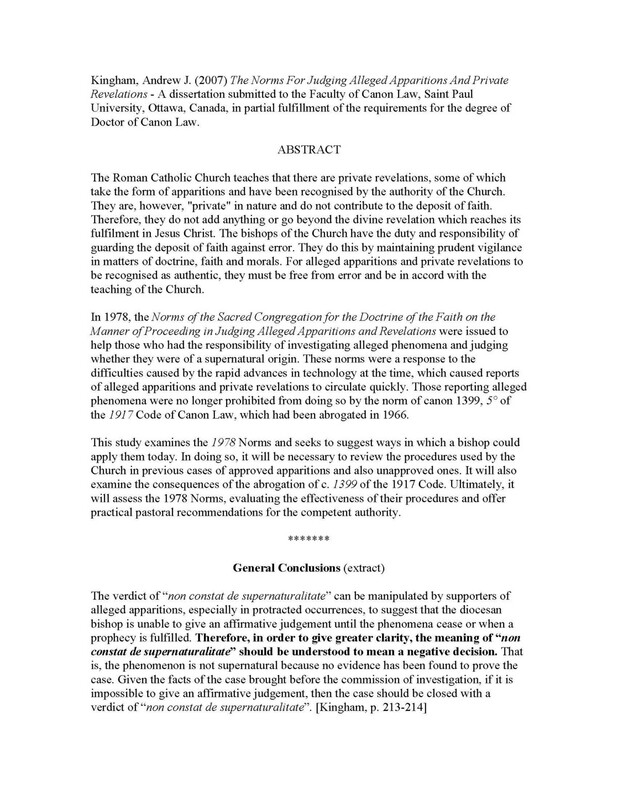 The responsible institution for the acknowledgement of the negative verdicts, the Congregation for the Doctrine of the Faith, has given and maintained its approval to the proceedings and the results of the non constat: the “phenomenon” is not supernatural because no evidence has been found to prove the case. On the other side of that “signal”, the “rebellious noise” coming from Medjugorje has been powerful, with amplifiers — Medjugorje Franciscans, ambulatory visionaries, informers, propagandists, travel agencies — paid with big money and the spending of pilgrims intrigued by that noise. The religious manifestations organized with or without the visionaries in Medjugorje with the Lady of Medjugorje presented as the supernatural character “Gospa” have constituted a mighty coup de force [takeover by force] against the competent authority that formulated the pastoral directive. It seems clear to me that the Diocesan authorities have made all in their power to broadcast the truthful signal that the “phenomenon” is not supernatural because no evidence has been found to prove the case. Despite that competent (mandated) signal, thousands of priests and hundreds of bishops — Abp of Vienna being one of them — have come to Medjugorje, without consulting the local Ordinary, to “pay” homage to the Lady of Medjugorje which appears to be undoubtedly for them the Virgin Mary. The wait-and-Holy-See policy (until 2010) concerning that catastrophic pastoral situation has always perplexed me, even though the President of the Bishops’ Conference of Bosnia-Herzegovina had already complained in 2004 that “the reported apparitions of Medjugorje were becoming a source of division in the Church” and declared later on that “the doctrinal issue of the Medjugorje phenomenon [was] resolved”. In short, there is no “tormenting dilemma”: It is up to us to seek to respond to the question of truth, fearlessly juxtaposing the proposal of faith with the reason of our time. I thank you again for having responded my question. Now, I am more incline to believe that Medj. defenders do not have a case. It all seem to be going towards a negative constat decision. I think the deal with Cardinal from Austria is a very delicate situation. somehow been deceit by false prophets so I pray that all those come back to the Truth and support the Church and not their inner feelings or experiences. Experiences and feelings can be manipulated by the devil so this is why we should not hold them as proof of authenticity. May God bless, you and keep you strong in your faith. My question was due to the many times Medjugorje defenders say that the decision on “non constant” leaves it open to its authenticity. As far as I understand, the decision of non constat (please correct “constant” for constat) is open to a definitive judgement that is to be constat or constat de non. But as I have already discussed with appropriate references, the non constat is a negative decision and should not be interpreted as a positive or as a neutral verdict. Otherwise, how could one understand the CDF directive that the Medjugorje events should not be regarded as authenticated? Again, Fr. Kingham’s interpretation of the non constat seems to me the most reliable. I will publish soon in extenso his “general conclusions” as Fr. Kingham has given me his permission to do so on Medjupedia. – and to “finish” with a constat? – Or to “end” with a constat de non? So, I wanted to know if you knew what was the other option…the one option where if the commission thought it was positive, but did not/could not make a decision because the apparitions are still going on, but they had to give the public some type of answer after they had finalized the investigations on the past commissions what was the position that the commissions would had taken then? The “other option”: “what was the position that the commissions would had taken then?” I know nothing about a part of it, because I can’t scrutinize what’s “in the heads” of the Commission’s members — “the thought that it was positive”. – constat de non supernaturalitate. The second has final character, whereas the first (non constat) may have provisional character pending new results or the reopening of the case. They indeed acknowledge that non constat is a negative decision. Nevertheless, they identify Medjugorje in the table, under “approval of supernatural character”, as “no final decision” instead of “negative decision”. They should have written rigourously “no final negative decision”, non constat meaning negative and implying not final. Why have they “omitted” the qualifying “negative”? It appears that the context of their presentation betrays their bias. 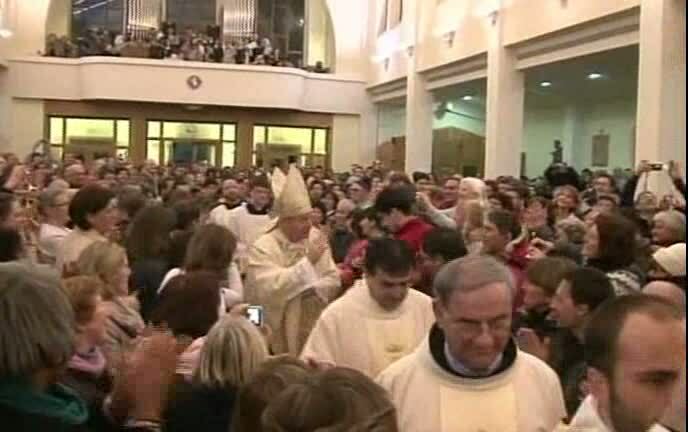 “The most recent significant news regarding Medjugorje that we know of to date involves a Homily given by Cardinal Christoph Schonborn at a New Year’s Eve Mass in Medjugorje on December 31, 2009.” (last modified Monday, 05/09/2011)! “No final decision while the apparitions are still going on”, is it not confer huge power to the visionaries with their 45 secrets that are left to their discretion…? I wonder how the Prelate can explain the “anomaly” that “the pope wants a decisive conclusion made,” according to Fr. Salvatore Perrella, member of the 4th Commission, while the events are still going on? Is it because Benedict XVI is finally convinced that the laisser-faire [let it be] policy of the CDF has reached its limits and that the numerous serious objections examined by the local and national religious authorities with their experts are justified? A reminder would be appropriate, here. 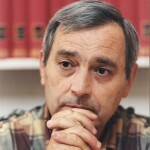 After the Bishop of Mostar, the competent Ordinary responsible for Medjugorje, expressed his conviction for a constat de non supernaturalitate — the Virgin Mary is not appearing in Medjugorje — the Secretary of the CDF made it clear that Mgr Peric was expressing his personal opinion while the official verdict is: “it is not proven that the Virgin Mary is appearing in Medjugorje”. Have we seen the Secretary of the CDF express the same concern towards the Archbishop competent for Vienna after Cardinal Schönborn voiced, in Medjugorje, his televised conviction that the Virgin Mary is appearing in a place where he has no mandate — “Mother of God is so patient with us that for nearly 29 years here, in a very direct way, she is showing her vicinity and care for parish of Medjugorje and numerous pilgrims.”? Have we seen the Secretary of the CDF express a certain concern towards the Archbishop of Vienna showing his televised joy and conviction that the Virgin Mary has appeared in his cathedral without proper examination of that event and consultation with the CDF? What really was the “intention” of that intelligent prelate? I don’t know. But that public confrontation perplexed me very much. I cannot but observe the similar behaviour to the one of the visionaries and of some Franciscans. Sensus cardinalis contra sensum episcopi [Peric] et episcoporum [20 members of the former Yugoslavian Bishops’ Conference]? What kind of discernment was concealed under that behaviour? Does that depreciation of the non constat enlighten the faithful? Last but not least: how will the teacher, Benedict XVI — who “wants a decisive conclusion made” in the light of truth — cope with his undisciplined Schüler [pupil]? You see, Maria, that you, Sharon, others and I have a hard time making sense of it all. I have made my effort and I hope that some answers, at least certain questions, will be useful to our critical readers. I am grateful to you all for your contribution to that effort. I appreciate your response and the time you took to write it. I learn a lot here and enjoy to read everything you post. Thanks. So, i wanted to know if you knew what was the other option…the one option where if the commission thougth it was positive, but did not/could not make a decision because the apparitions are still going on, but they had to give the public some type of answer after they had finalized the investigations on the past commissions what was the position that the commisions would had taken then? I wanted to comment that I didn’t notice until you quoted Msgr. Amato that the Norms from the CDF do not mention the “non constat” option. So why did the Bishops and the Commission choose that option? It looks like Maria has the same question. I hope the matter is settled soon! I hope I didn’t write that the “Norms from the CDF do not mention the ‘non constat’ option”. The 1978 Norms do indeed mention the non constat [“non constat” is a negative, but non-definitive verdict, thus a “wait-and-see”]. What they do not mention is the constat de non [“constat de non” is a clear negative verdict (may be equivalent to a “condemnation”)]. I tried also to explain why the Bishops and the 3rd Commission chose the non constat. If Mgr Amato had been interviewed after the creation of the 4th Commission, in 2010, I guess that his answer would have been different. As I wrote to Maria, diverse sources have said that the 4th Commission has been established to reach a “definitive” verdict which can only be a clear positive or a clear negative. The keyword is “definitive”. May I remind us that we would not be discussing all those “nuances” if the CDF were transparent towards the faithful. Why is that text of the Norms still secret in 2011? (sub secreto). Why is it not distributed at large to the faithful, with the appropriate explanations for an adequate discernment? Louis, Sorry, I’ve tried to post this a few times but my computer keeps cutting out. I wanted to comment that I didn’t notice until you quoted Msgr. Amato that the Norms from the CDF do not mention the “non constat” option. So why did the Bishops and the Commission choose that option? It looks like Maria has the same question. I hope the matter is settled soon! I shall give you, for the moment, a short personal answer that needs to be developed and substantiated in the frame of an article. As far as I know, there is no “positive wait-and-see” verdict. Diverse sources have said that the 4th Commission has been established to reach a “definitive” verdict which can only be a clear positive or a clear negative. In my answer to Sharon, I discussed only the negative meaning of the non constat and not its eventual outcome as a constat de non. There is indeed no specification of the constat de non in the 1978 Norms but the fact that it doesn’t appear in that document doesn’t prevent the members of the Commission from reaching the “clear negative verdict”, particularly if a mandate has been given to reach a definitive judgement. Cardinal Amato did not submit a transparent answer about that unfortunate imbroglio. Hence the necessity to discuss the “perplexing” position of the CDF on that subject. In spite of the documented proofs of falsifications of historical documents concerning the Lady of Medjugorje and of the enlightened conviction of the legitimate and competent authority, Mgr Ratko Peric, expressed in his constat de non supernaturalitate, the Medjugorje Franciscans have indeed mobilized misinformed priests, bishops, cardinals and millions of faithful, with the power of lies, a political agenda and a tremendous amount of money. 14 years ago, the Ordinary of Mostar expressed his hope that the Holy See would establish a Commission that should give a final judgement on the Medjugorje case. His voice has only been heard last year. What happened? Has the “sectarian self-importance with sometimes occult methods and syncretic mysticism” of the Medjugorje Franciscans seduced some higher authorities? Has the “confusion in the minds and ideas” of some higher authorities rendered them unaware of the tens of thousands of infantilizing messages addressed by the Lady of Medjugorje to her “dear little children” who are almost in their fifties? How, under those “disruptive” circumstances, could the faith of the recipients “become deeper at the rate of their education and responsibilities”? If the commission would have need to leave the matter open because it might not had had supernatural proof or even preternatural proof, what would had been the outcome of the decision and what would have been the label put to that outcome in order to wait and see if something comes up in the future? In other words, if the commission would had found that they did not have enough evidence supernatural nor preternatural but thought that perhaps if they waited a bit longer they might get one, what would the outcome of the commission or what would they had named the conclusion for the public to go by? Non constat? Constat? Constat de non? First, like you, I will try to understand the subtleties of the Vaticanese language. In Part 2 of the article, I have examined the meaning of non constat de supernaturalitate. We both agree that it is “negative”. You say that it is a “statement”. I say that it is a “verdict” reached by the competent (meaning: mandated) members of official Commissions. Let us make the difference between what you and I would like to see, and what is, in fact, written in the Norms. The expression “constat de non supernaturalitate” is not found in the original Latin text of the Norms and in the French and English translations. Q.: At the end of these proceedings, what positions can authority take? Mgr Amato. : There can be approval, the constat de supernaturalitate, as was recently done by the bishop of Gap [France] for the apparitions of Laus. Or disapproval, the non constat de supernaturalitate, as for example quite a few pseudo-mystical manifestations. Q.: But can the “non constat de supernaturalitate” be considered a wait-and-see decision, compared to the negative, which would be the “constat de non supernaturalitate“? Mgr Amato: In the Norms we are talking about there is only mention of constat de and non constat de. There is no sign of constat de non. The now Cardinal Angelo Amato is a member of the 4th Commission of inquiry on the Medjugorje case. I suppose that the canonist Fr. Kingham and Cardinal Amato, a member of the new Commission, know what they are talking about. If so, do we agree, Sharon, that the non constat is a “sufficiently” negative decision, because the constat de non is no more “placed on the agenda” of the Norms, according to Cardinal Amato? I improve an immense respect for the sincere individual/pilgrim who will “find his/her experience edifying”. Who am I to judge that person, especially if he/she has been abused by unscrupulous propagandists? My critique is aimed at persons and organizations that should be held accountable for that pastoral fiasco. Some circumstances have led me to make a research that began in 1984 on the so-called ecstasies experienced by visionaries in Medjugorje and I have tried to reconstruct those events/phenomena. In doing so, I have witnessed wilful ignorance, concealment and falsifications of historical documented facts perpetrated by persons or organizations who were and are in a position of intellectual and pastoral responsibility toward potential pilgrims. thereby rejecting the pastoral directive based on a “very thorough, very broad and very objective investigation” (Cardinal Joseph Ratzinger dixit). An important dimension — a “fault” — as you name it, from the parish pastoral personnel to some Vatican personalities, short-circuiting the Diocesan authority, has already drawn my attention. The pastoral care of intelligence being at the center of our discussion, I will come back soon, in an article, to that delicate matter that has to be treated respectfully and with transparency. Well received. Thank you! I will write an answer tomorrow. Cordially, Louis. I just wanted to clarify. I said that a pilgrimage organizer should “never” indicate that the messages have been authenticated. I meant that he or she should not currently indicate that the messages have been authenticated, because they haven’t been. If they are some day approved, then of course a pilgrimage organizer would be free to say so! Hi Louis, I had read your response to Kevin and just re-read it now. I also read the page from Fr. Kingham’s work. I do see that “non constat” can’t be taken as a positive statement. But I see it as a “doubtful” response rather than a completely negative response, because it would seem that, if a final, negative response was meant to be given, “constat de non” would be the correct message to give the faithful. It would seem that, if there is confusion regarding the status of Medjugorje after all of these years, it could be considered as much the “fault” of the bishops and commissions as the”fault” of the Vatican. On the other hand, since the bishops and commissions intentionally chose “non constat”, they did not feel that “constat de non” was an appropriate conclusion to be drawn from their examinations. I hope I am being clear in what my question really is. As far as the point of agreement, I believe you are saying that a pilgrimage organizer should never indicate that the messages have been authenticated. I think you are also saying that an individual should not at this point let himself believe that the messages have been authenticated, no matter what his experience at Medjugorje might be. Yes, I do agree with that. Do you also agree that, since a final statement has not been given (the final decision now being in the hands of the Vatican), an individual can also find good in the messages of Medjugorje, and find the pilgrimage experience edifying, and believe that there is a possibility that the apparition site will, in fact, be approved by the Vatican? I am not asking whether you believe that such a possibility exists, but whether you would agree that it is not morally wrong for an individual to have such an attitude toward Medjugorje at this time? I must say here that I had your concerns in mind when I wrote that Part 2 of Messori’s dilemma. You have quoted statements that seem very contradictory, one which says pilgrimages may NOT be formed, and another, more recent, that says they MAY be formed. Or, maybe, both statements are really saying the same thing, essentially, “Don’t organize pilgrimages by telling people that the events have a supernatural character”. You went away (from the combox) and, after the publication of my Part 2, I did not dare point to my article in the said box. From what I understand, “non constat” means “it is doubtful”. For me, non constat means not proven. Please read my comment to Kevin and Fr. Kingham’s position which I am in agreement with. May I add that the few interventions from the CDF specify that when you go to Medjugorje, you should not interpret the “phenomenon” or events that happened or are happening there as an authentication of the supernaturality of the said events? Could we clarify that very important point before continuing our dialogue? The Vatican’s dilemma is the fault entirely of the Vatican itself, for refusing to deal with this ridiculous comedy back in 1981. And they refused to deal with it for the very simple reason that their twisted and distorted idea “of ecumenism prevented it. That this “oracle” was telling the gullible that “all religions are pleasing to God” already back in 1981 should have been quite enough to shut down this ikdiocy, which has seemingly morphed into something preternatural. The late Hamish Fraser, the late Michael Davies, the late Brother Francis, MICM and Frere Michel in France completely debunked this Medjugorje nonsene thirty years ago. The relevant Oridnary condemned it. But the dithering, pettifogging Vatican “experts”, refusing to face the doctrinal facts, kept it alive by their shilly-shallying…and now they have a dilemma. There is NO dilemma: shut down this monstrous imposture now, before any more Catholic souls are deluded. Hi, I have read your comments on Pat Archbold’s blog piece regarding Vittorio Messori’s article. I had several questions for you there that you were kind enough to answer, so you will not be surprised to see one more! The bishops and comissions have so far made a determination of “non constat de supernaturalitate” in regard to the visions. From what I understand, “non constat” means “it is doubtful”. It cannot be considered a judgement in favor of the alleged apparition, but it seems to leave the question open. It is not the same as saying, “the ‘phenomenon’ is not supernatural because no evidence has been found to prove the case” – is it? For your statement, “the ‘phenomenon’ is not supernatural” to be true, wouldn’t the bishops and comissions have had to say “constat de non supernaturalitate”? What is the difference? Concerning the good rendering of the Latin non constat, I have tried to be as faithful as possible to the word, the juridical context, and the concept. My Latin/French Dictionary (Hatier) translates constat by il est prouvé que [it is proven that]. In the New Commentary on the Code of Canon Law, one finds the enlightening phrase: “The burden of proof is on the promoter to demonstrate this to the tribunal with moral certitude; otherwise the defendant is to be dismissed and a non constat decision rendered (c. 1608, par.4).” Finally, the interpretation of Fr. Kingham who wrote his dissertation precisely on the 1978 Norms validates my preceding observations. To avoid ambiguity, I will identify the “first possibility” as the first one presented in the present Part 2 of my post — decision against the position of the local Ordinary. For the benefit of my argumentation, which refers to the history and the meaning of the non constat in the Medjugorje affair, I reversed the order of presentation of the possibilities expressed in Messori’s original article. If Vittorio Messori “clearly believed” that the Holy See will not decide against the position of the local Ordinary, I guess he would have explained why and submitted a “better dilemma” in which he “believed”. Well argued, Louis. 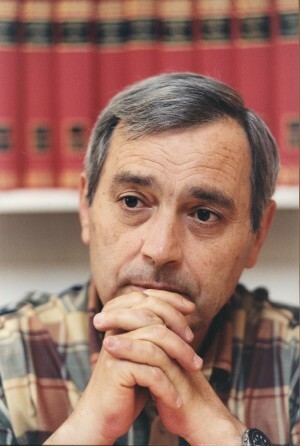 But I think Messori is right – not about which possibility will play out (he seems to clearly believe it will be the first – the second possibility he mentions is rhetorical, an attempt to prove his point through a sort of “reductio ad absurdiam”), but about the disaster that will come about as a result of the judgment. When Medjugorje became a worldwide phenomenon and continued to be believed by millions despite the negative judgment of the Ordinary of Mostar, the Vatican should have stepped in and moved on it so that there would be no doubts in the minds of believers. Dr. Miravalle and other Medjugorje apologists could credibly “spin” the actions of the Vatican, which, to the average lay person, were vague and equivocal. However, had the Vatican done back in the early 1980s what the Vatican is now doing (the investigation and impending ruling), the second scenario laid out by Messori (“I have met and continue to meet so many people who have changed and for whom Medjugorje is the center of their experience of faith: What would you say to them? It is an illusion, you have been the victim of a hoax? It would be a scandal because of the grandeur of the phenomenon of the last thirty years”) would have never happened. A very fine and scholarly look. Thank you, Louis! That is an interesting translation for “constat” as “proven.” I’m not sure if that is a good rendering of the Latin, but you do provide an interesting take nevertheless. For those who are getting errors in their attempts to comment, try using a browser other than Internet Explorer. I could not post my comment using IE (the error told me the comment required text). However, as you can see, I was successful using Google Chrome. Thanks for bringing objectivity concerning past commissions and pastoral directives into the discussion. Too many people are caught up in subjectivism and leaving objectivity behind.